Travel posters at their best showcase memorable places in distinctive ways as well as the talent of remarkable artists. A case in point is the beautiful series of travel posters by Salisbury, New Brunswick-based graphics designer Eric Goggin. The stylized design, bright colors and buoyant fonts are all fun. Many of Goggin’s posters have a pleasing vintage feel to them and focus on locations throughout Atlantic Canada. 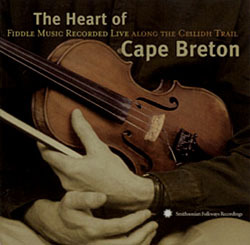 While well-known cities and areas, such as Gros Morne, St. Andrews By the Sea, Cape Breton and the Bay of Fundy, are featured, Goggin also directs some of his artistry to lesser-known but still picturesque locales, including Cape Forchu, N.S., Shediac, N.B., and Cavendish, P.E.I. Of course, because they are travel posters they fulfill their principal purpose by inviting curiosity and wonder about the places depicted and make the viewer itch to get on the road to see these sites. You can see more of Goggin’s terrific poster designs on his DestinationArt website here. Cameron Stevens is a hugely talented graphics designer working in Ontario. Several years ago he embarked on a project to design vintage screen-printed-style posters for a number of Canada’s national and provincial parks. A few years later he’s now up to 58 gorgeous posters, each of which is characterized by a spare, consistent layout and muted pastel tints as evidenced by the sampling shown here. 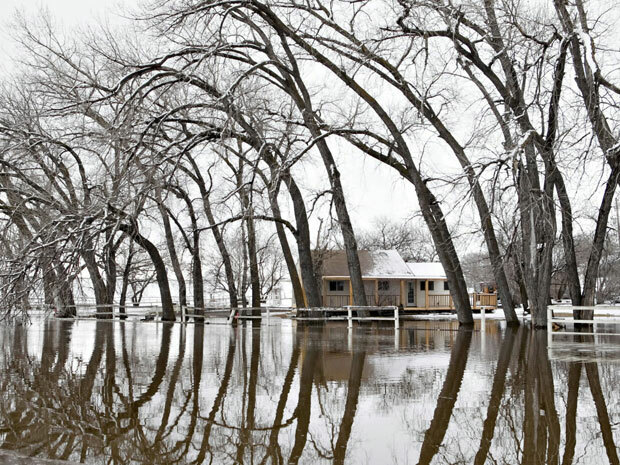 Whether intentional or not, most also include a body of water, which is certainly reflective of the vast number of lakes, rivers and sea coasts throughout the country. On his official Canada’s Parks poster art site, Stevens notes that he was inspired by the artwork produced by the U.S. Works Progress Administration (WPA) in the 1930s and 1940s to promote America’s National Parks. His Canada Parks posters clearly harken back to that earlier era, as well as the time when the Canadian Pacific Railway blanketed the country with its highly stylized travel posters. These contemporary posters with a vintage feel are beautiful to behold while bringing well-deserved attention to many of Canada’s spectacular outdoor treasures across its provinces and territories. Stevens sells these as posters and prints, which can be accessed through the above official poster site and his graphics site. Before seeing the acclaimed “Maudie,” I knew a little about Maud Lewis and her folk art but I was unaware of her life story and the everyday struggles that she faced from a very early age. Sally Hawkins and Ethan Hawke each give deft performances in this emotionally touching movie about persevering and finding happiness in the face of difficult circumstances. 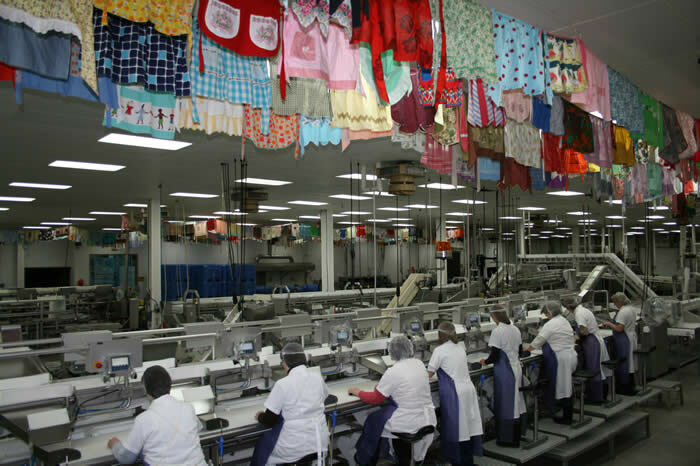 There are notes of grace here, along with a number of tear-jerker moments. Lewis received some early art instruction as a child from her mother, with whom Lewis would make homemade Christmas cards to sell. From this basic foundation, Lewis’s many, mostly smallish paintings of bright-colored animals, plants and farm and shore scenes provided her solace in the face of a hardscrabble life in rural Nova Scotia. The occasional sale of her artworks eventually provided a modest income for her and her husband, Everett, in the later years of their lives. The movie does a nice job exploring the initially reticent relationship that the two shared and the deep interdependent love that they came to nurture. A more thorough overview of Lewis’s life can be found in the online Canadian Encyclopedia. “Heartwarming,” “human,” “genuine” and “community” are among the words that come to mind to describe “Come From Away,” the Canadian-produced musical that just opened this week on Broadway after a preliminary tour across Canada and the U.S. The musical tells the story of how the small town of Gander, Newfoundland (about 10,000 people), with good cheer and resourcefulness, memorably accommodated during a week-long stretch the more than 6,500 air passengers from all over whose planes were unexpectedly diverted there following the 9/11 attacks. The reader comments on the NY Times review of the production are striking by how moved people have been by this story. 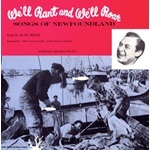 Having visited Newfoundland on multiple occasions, I can attest that the people of this ruggedly beautiful province are as sincerely friendly as this musical depicts. I recently came across a copy of an old school book, “Picture Map Geography of Canada and Alaska” by Vernon Quinn, that includes charming woodcut picture maps by Bruno da Osimo, a then noted Italian illustrator, for each of the Canadian provinces (other than Nunavut, which was then part of the Northwest Territories). Originally published in 1944 and updated in 1954, it has a light but well-written chapter devoted to individual provinces. Each map features animals, plants, activities and industries peculiar to the province depicted. In addition to the maps (scanned in above and below), the book is adorned throughout with other delightful illustrations by da Osima (some of which I’ll compile in a future post). I love playing around with themes. In an earlier post, I grouped together a bunch of my photos from across Canada that featured a strong element of red. Today, I thought I’d do a similar thing with some photos that incorporate blues (of the uplifting kind). Door to Boat Workshop, Annapolis Royal, N.S. Blue Door, Annapolis Royal, N.S. Statue of Evangeline, Grand Pre, N.S. Peach Blossoms Against Cloudy Sky, Wolfville, N.S. End of Day, Digby Harbor, N.S. Boats at Low Tide, Annapolis Royal, N.S. 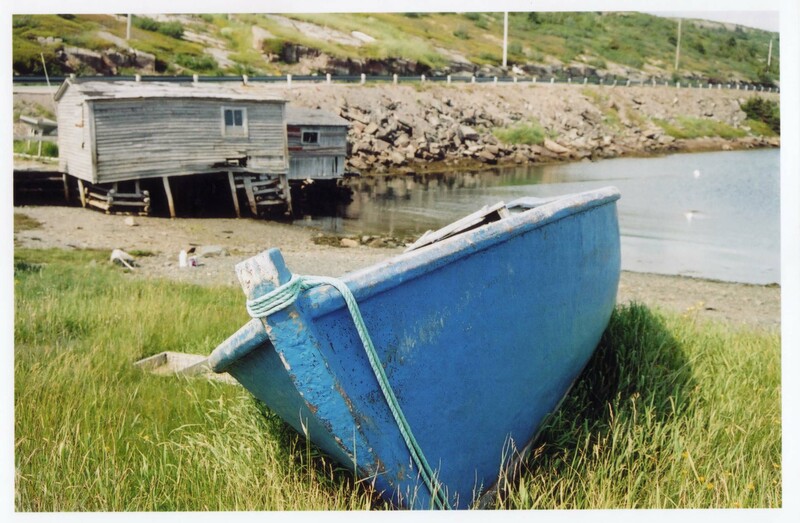 Fishing Boat, Peggy’s Cove, N.S. Cloudy and Blue Skies, Grand Pre, N.S. The Atlantic Advocate was a general interest magazine published monthly from 1956 through 1992 with a focus on life, culture and business in the four Atlantic provinces — New Brunswick, Newfoundland, Nova Scotia and Prince Edward Island. While browsing through a stack of issues from the late ’50s and early ’60s, one of the things that stood out to me was the enthusiastic boosterism of many ads promoting economic development and tourism in those places. The fact that ads of this nature are so prominent in a general interest publication is partly a testament to the economic challenges long faced by the Maritimes and an appreciation by their relatively small populations of the significant impact of industry and natural resources development on daily life in their regions. 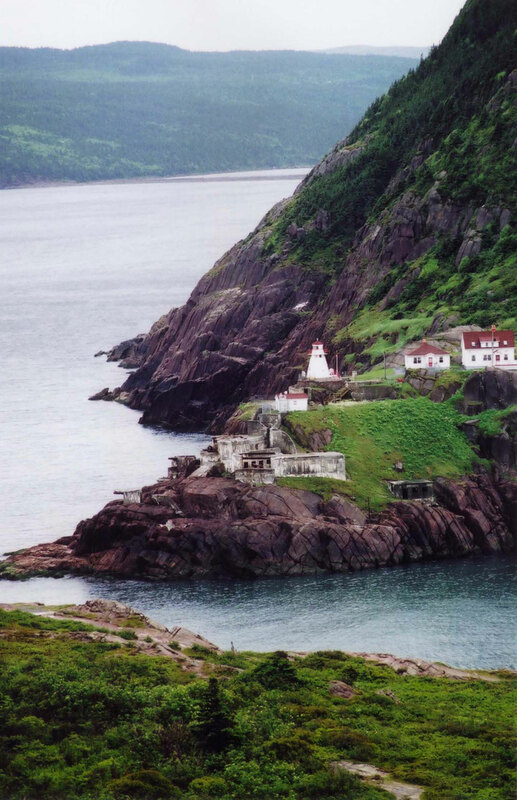 For Canada Day weekend, this post features images that span the geography of this vast country. Around 1953, in a grand display of national pride, the Montreal-based alcohol and beverage giant Seagram Company commissioned over a dozen Canadian artists (including several among the famed Group of Seven) to create a series of watercolors of major Canadian cities. The paintings were subsequently the focus of a world tour organized by Seagram to showcase Canada and its urban landscapes. While recently rummaging through an antique shop I came across a small booklet, dating to 1953, in which these paintings were reproduced and for which this post shows a sampling of the now somewhat faded images. While many of the provincial capitals are depicted, I find the inclusion of several less prominent cities (including Fort William, Hamilton, Sarnia, Shawinigan Falls and Trois Rivieres) to be fascinating. Good historical maps combine science and art to guide its users through its subject geography, with the best such maps igniting the imagination about the many backstories underpinning its cartographical offerings. 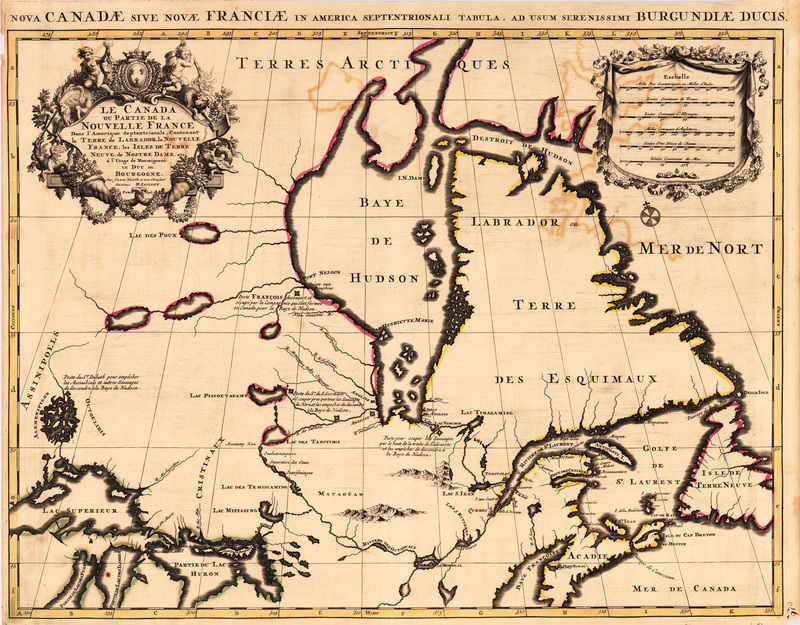 Some of the oldest maps of North America include parts of Canada, which then featured place names such Terra Nova (now Newfoundland), Nouvelle France (most of what is now Eastern Canada), and Acadie (now Nova Scotia). The following collection showcases some interesting old maps of Canada I’ve come across. 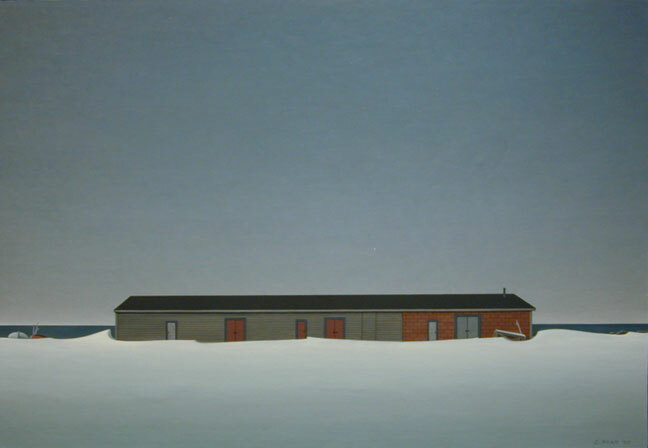 Christopher Pratt is justly considered one of Canada’s most significant living artists. 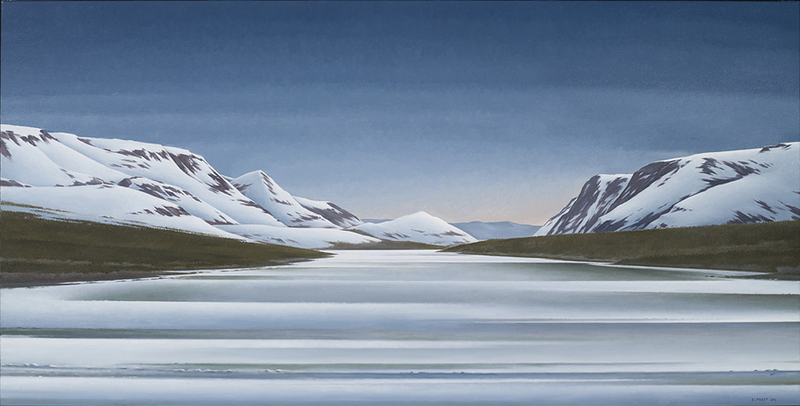 His realistic art focuses on Atlantic Canada, particularly his home province of Newfoundland and Labrador. 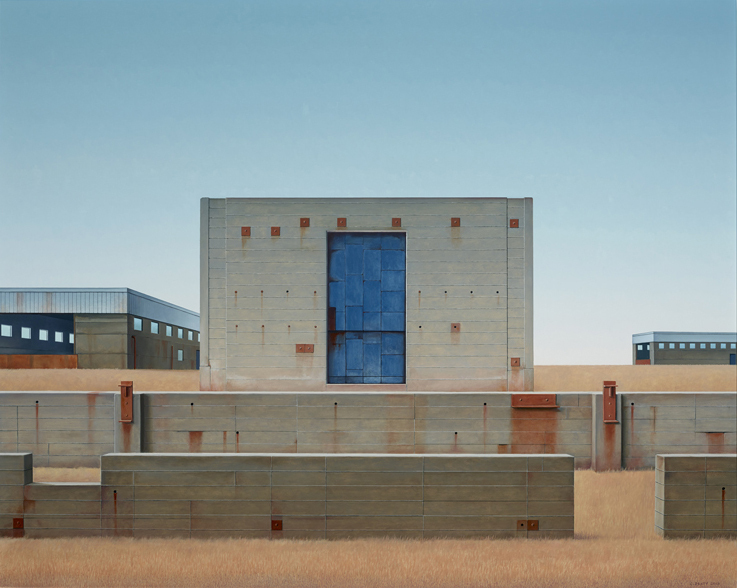 Pratt’s compositions are usually quite spare and many convey a notable sense of melancholy and reflective quietude, whether of outport cottages and other simple structures with strong architectural lines or his sweeping coastal landscapes. 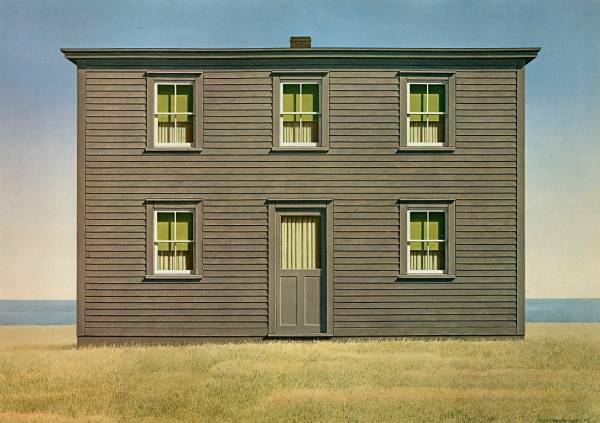 While his style is distinctively his own, the subdued moodiness of Pratt’s work brings to mind that of Edward Hopper and the realist paintings of Alex Colville, another Canadian master who taught at New Brunswick’s Mount Allison University at a time when Pratt was a student there. Mount Allison is also where Pratt met his now former wife, Mary West Pratt, an equally noteworthy Canadian painter in her own right. Born in Fredericton, New Brunswick and living in St. John’s, Newfoundland for most of her life and career, Mary Pratt is one of Canada’s realist painters of the highest order. Her subject matter ranges from luminescent jelly jars and other domestic still lifes to pensive nudes and fleeting dramatic moments (such as a fire blazing in a steel barrel). 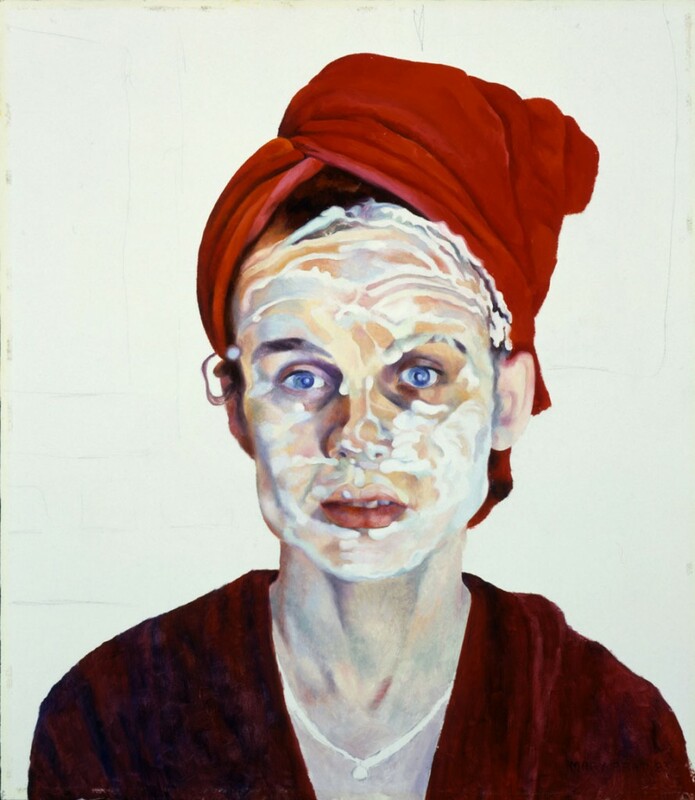 Pratt’s artwork is as much about the intricate interplay of light and color on her subjects as anything else. In conjunction with a traveling exhibition of Pratt’s paintings organized by the The Rooms of Newfoundland and Labrador (May – Sept. 2013) and the Art Gallery of Nova Scotia (starting Oct. 2014), Goose Lane Editions recently published a beautiful new book, Mary Pratt (2013), which showcases much of her work. 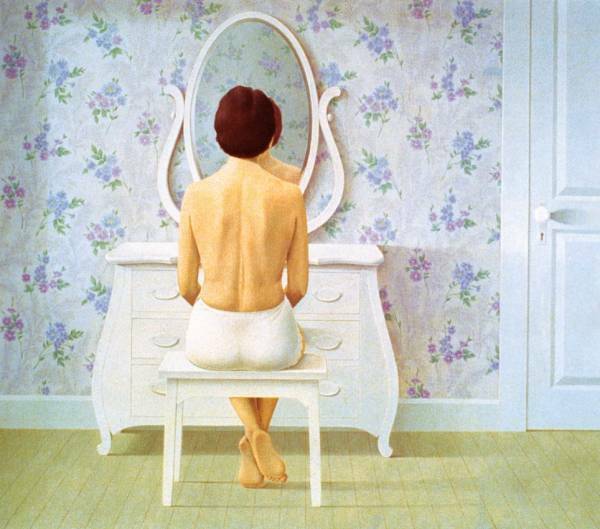 The book features a wide selection of her paintings as well as remarks by Pratt herself and thoughtfully written essays by several leading Canadian art writers. 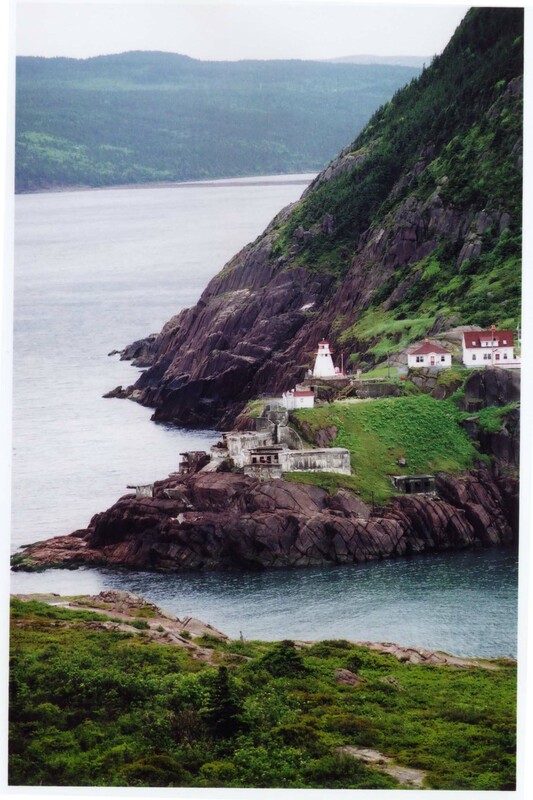 I’ve been way up to the wonderful province of Newfoundland and Labrador twice and both times were amazing. If you have the opportunity to visit this gorgeous rugged place populated with extremely hardy and friendly people, don’t hesitate –just go! For myself, I look forward to my next trip there, exploring quaint outports and inhaling into my soul more if its innumerable beautiful vistas. From my last trip, here are a few images that I took along the coast near St. John’s and about 200 miles further northeast on the Bonavista Peninsula around the picturesque villages of Trinity East and Port Rexton, both of which sit on Trinity Bay across from the Avalon Peninsula. 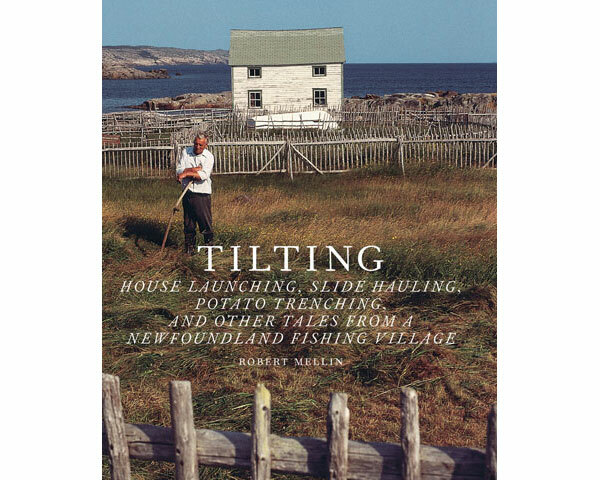 As I was going through my bookshelf last week in preparation for our family’s annual potlatch exchange, I came across Robert Mellin’s Tilting: House Launching, Slide Hauling, Potato Trenching, and Other Tales from a Newfoundland Fishing Village, which I obtained several years ago following one of my visits to Newfoundland but which I had only skimmed through at the time. 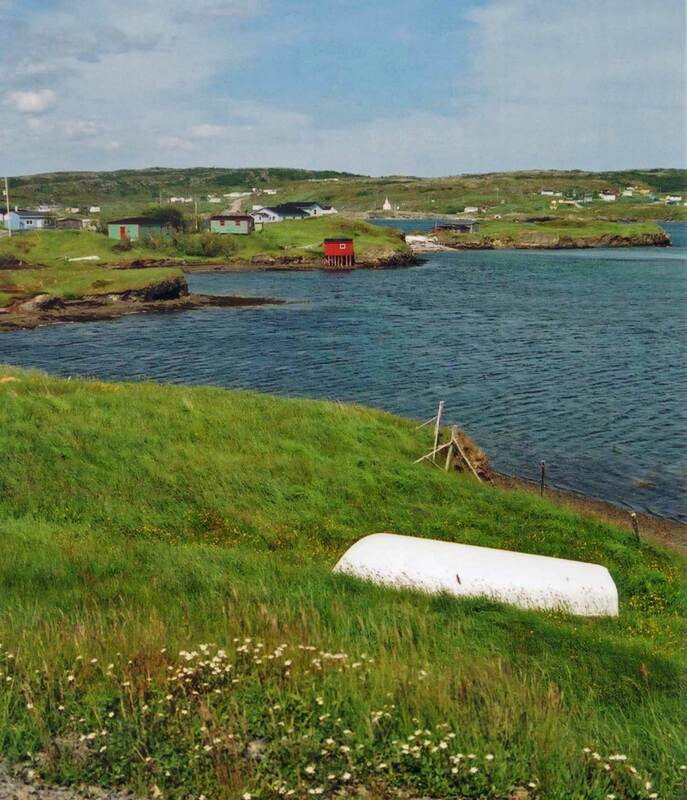 There is so much to like in this neat little book about the sparsely populated and very scenic fishing village of Tilting, which is located on Fogo Island off the northeast coast of Newfoundland and is now mostly inhabited by descendants of Irish settlers from the early 1700s. 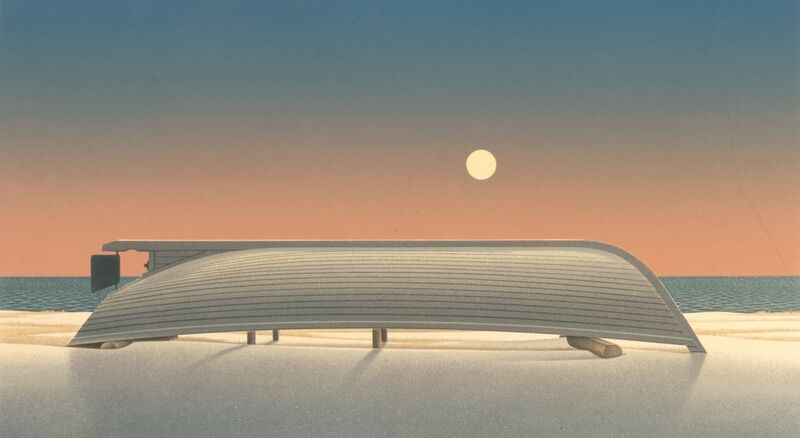 (See here and here for earlier O’Canada Blog comments about Fogo Island.) It’s difficult to classify this work by genre — its subject matter ranges across fishing village architecture, local history, oral stories, traditional farming and fishing techniques, and cultural studies. “They don’t bother to knock — because everybody around here knows one another and they knows what’s in there and they knows what kind of a person they’re going to meet and — there’s no need of them knocking — I think that’s the reason. . . . Nobody don’t want to take off their boots — We had several people comin’ in stopped out in the porch tryin’ to get off their boots — come on in, boy! 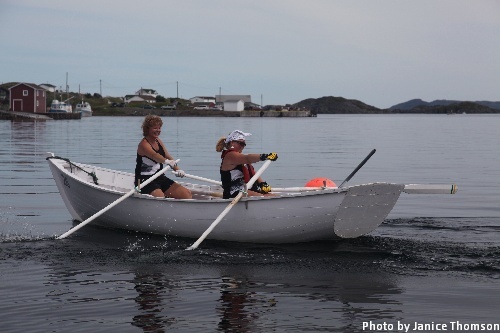 Today marks the fifth annual running in Newfoundland of the Great Fogo Island Punt Race, a 10-mile endurance race that requires its challengers to row punts (essentially, small row boats) across five miles of open ocean between Fogo Island and Change Islands and back. The official event website is here, which includes a couple of fascinating videos, including “Postcard From Fogo Island”, a gorgeous short video about the race which can also be found here on the website of the Shorefast Foundation. 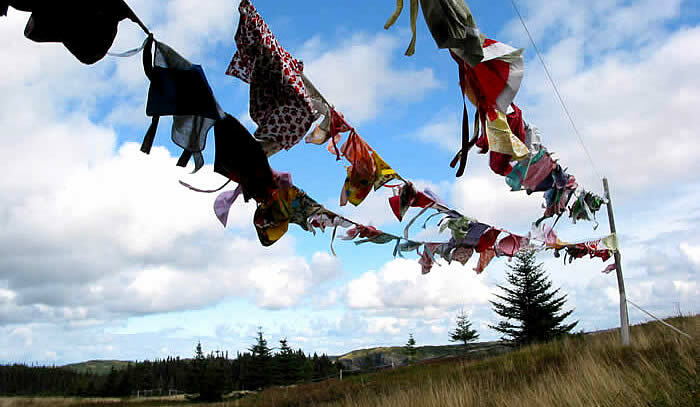 Aside from being great fun, the annual race celebrates the boating heritage of Newfoundland and its reliance on the durable punt, a craft that the people throughout the province have relied upon for over 300 years. 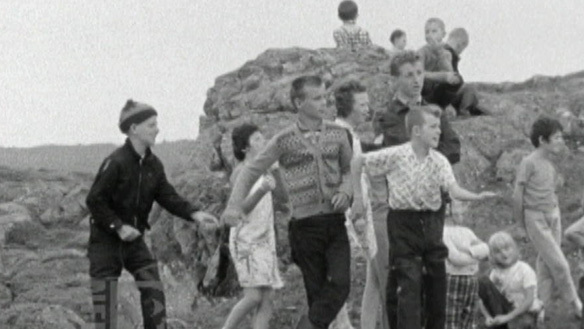 I’ve commented on Fogo Island previously in a post on the National Film Board of Canada’s 1967 documentary “The Children of Fogo Island.” In addition to its achingly beautiful scenery, this rugged island paradise in Atlantic Canada has a lot going for it, not the least of which is the resilient spirit of its people and their strong sense of community. Fogo Island’s Shorefast Foundation has done a remarkable job in just a few short years in promoting both deliberate economic development and a phenomenally vibrant arts community. 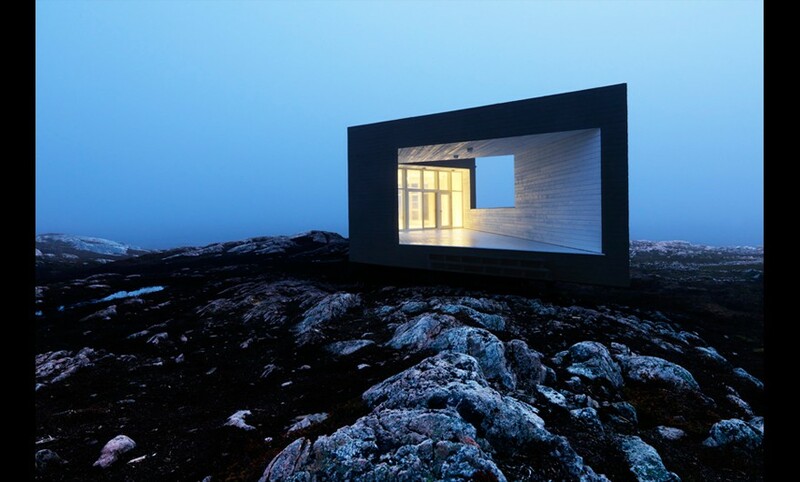 Providing a good examplef this, is the above photo is of the Long Studio, one of three recently constructed and strikingly innovatively designed arts studios on the island as part of a series of broader arts initiatives fostered by the Fogo Island Arts Corporation and the Shorefast Foundation. By the dwellers in cities – ever, however, implacable. By worshippers of the machine, but waiting, watching and waiting. 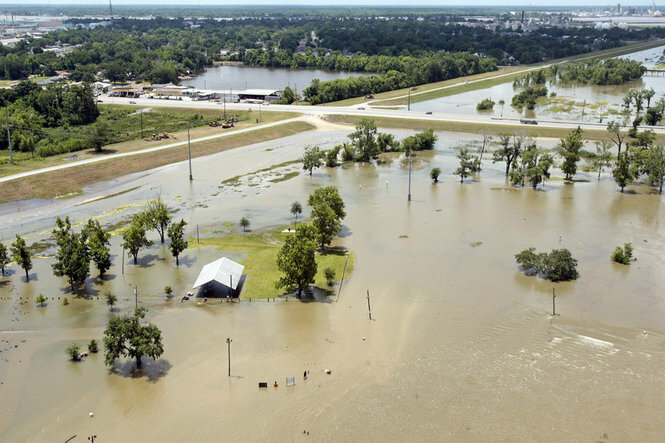 The flooding also had me thinking about the experiences and emotions being shared by people north and south of our common border. 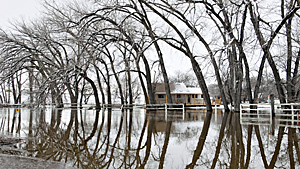 In that spirit, I surveyed a variety of stories about the widespread flooding and below is a small sampling of quotes I found interesting from affected individuals in Canada and the U.S. I just got back from several days and about 65 miles of hiking with one of my sons on the Appalachian Trail in North Carolina. Among the notable features along the North Carolina section of this major east coast footpath are many gorgeous vistas, beautiful water falls and streams and high mountain meadows. The AT, as it is sometimes called, extends between Georgia up to Maine, following the range of the Appalachian Mountains over its 2,100+ miles in the U.S.
As I was hiking, I recalled that the Appalachian range actually ends much further north of Maine continuing as it does up into New Brunswick and Quebec on the mainland with a final section of the mountains ending near Belle Isle, Newfoundland and Labrador. 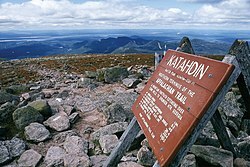 About 15 years ago, a number of hiking enthusiasts conceived what is called the “International Appalachian Trail”, which is a trail extension trail along the natural geography of this ancient mountain range into Canada without regard to national borders. (Because North America, Europe and Africa were all once connected in truly ancient times, there is even an effort to route a trail with a continuation into Britain then onto Spain and finally in North Africa, linking together the geographical “remains” of this once vast inter-connected range.) Already quite a few hikers have undertaken and completed the additional challenge associated with the trek from Mt. Katahdin, Maine up to Belle Isle. Having already hiked along several beautiful trails on Canada’s east coast, I’m sure the International AT holds special beauty and I’ll look forward to tackling stretches of it myself at some point. For now, though, I’ll admire such feats from afar as my dogs are still barking from my most recent trail outing. Of the 99 places rated, 18 made it into the highest category of “Top Rated,” and of those Canada claimed an impressive 4 spots, more than any other country. 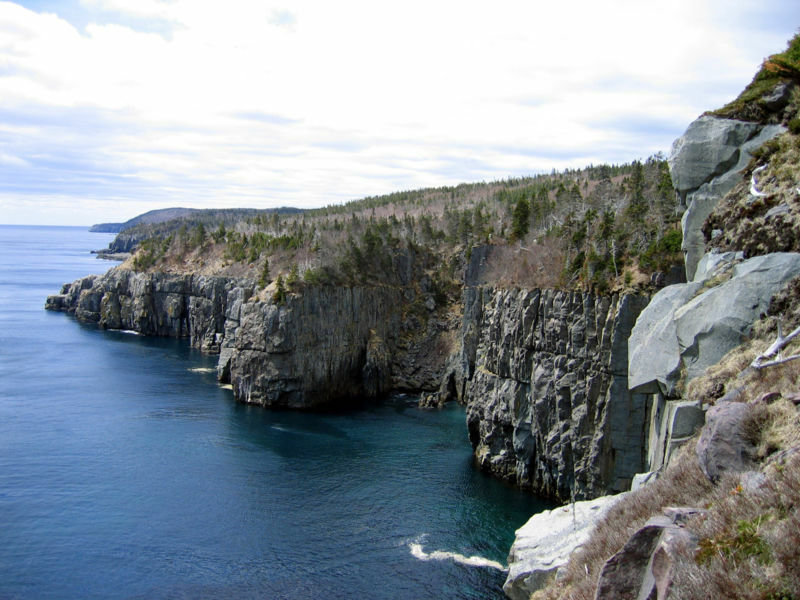 Making that short list were the Gulf Islands of British Columbia, the south shore of Nova Scotia, and the coastal areas of Prince Edward Island. Pretty much for as long as I can remember I’ve always liked folk music. 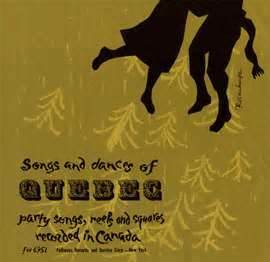 Among the earliest folk songs I can recall is the French-Canadian song “Alouette,” which every now and then would be played in one of my grade school classes as I was growing up in New York. I enjoyed the fast, playful pacing of this simple children’s tune and, not knowing any French at the time, was more than amused years later to learn that it dealt with the plucking of a chicken. 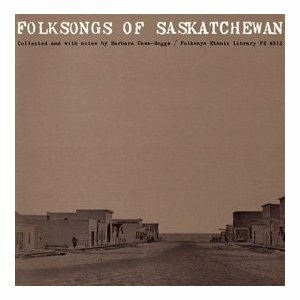 That song, along with hundreds of other Canadian regional tunes, can be readily found through the website for Smithsonian Folkways. Over almost 40 years, Folkways Records devoted itself to recording songs and sounds from America, Canada and other parts of the world, producing a prodigious 2,168 albums. 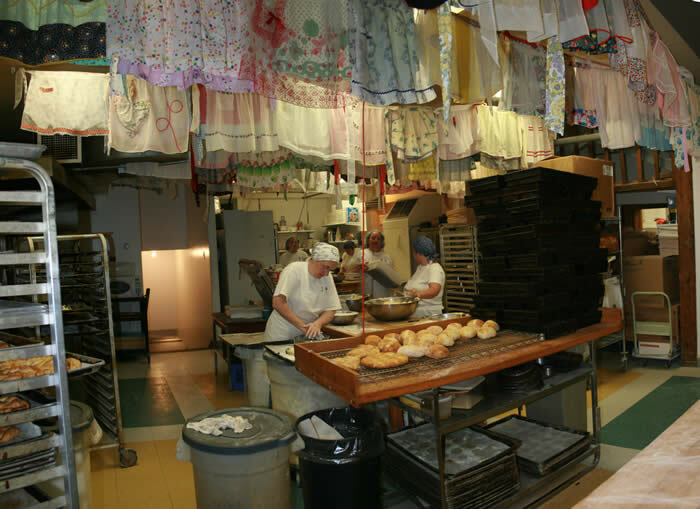 Several years ago, the Smithsonian acquired the archives of Folkways Records and part of the Smithsonian’s mission was to make the collection widely available, which it accomplishes, in part, through the website. 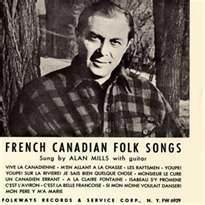 A search of “Canada” on the Smithsonian Folkways site reveals a total of 118 Canada-related records. Because most of these recordings are from the 1950s and 60s, they are very difficult to find elsewhere, so it is amazing that so many are collected in one location. 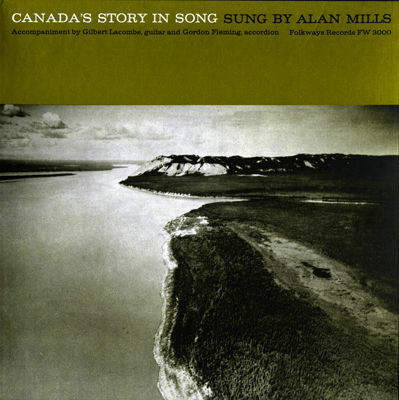 (Link to Canadian-Related Records on Smithsonian Folkways: http://www.folkways.si.edu/searchresults.aspx?sPhrase=canada&sType=’phrase’). There are many albums worth noting on the Folkways site. A few examples, with links to album track listings and a suggested song to which you might listen for a flavor of the album, are noted above and below. 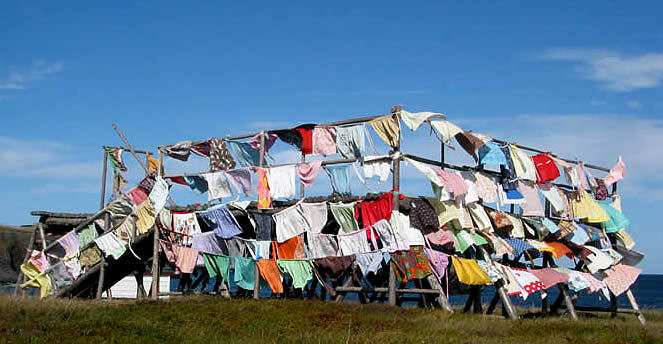 I just finished watching a short documentary, The Children of Fogo Island, that consists mainly of observing children going about their daily play activities on this major island off the northern coast of Newfoundland. Directed by Colin Low in 1967 in cooperation with the National Film Board of Canada, the film dispenses with narration in favor of a simple and melodic music track, which gives the black and white images an elegiac feel. Aside from the nostalgia that the film evokes, there is also a sense of sadness in contemplating the tenuous hold on survival managed by the people living on this outport island. 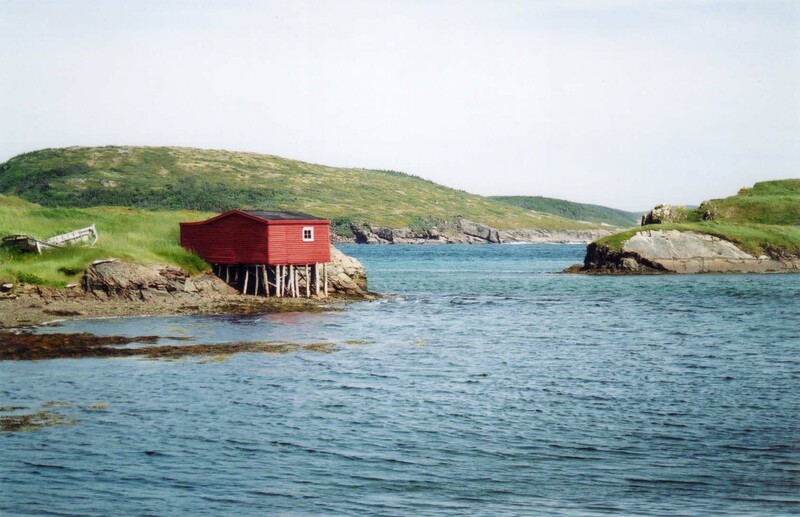 Several years ago I had the good fortune to meet a businessman about my age in St. John’s, Newfoundland who had grown up on Fogo Island and who still held great affection for the place. He spoke wistfully about his childhood there and how so many young people have left due to their inability to make a living in that remote place. This film brings me back to that conversation as well as the simpler times of a generation or so ago — which all children amazingly reinvent in their own way.